1 What Is Pelvic Pain? If you’re suffering from pain in and around your pelvic area, you’re suffering from pelvic pain. Since this is a larger area of the body, however, the causes of your pain can be wide-ranging. Here’s what you should know about pelvic pain. Where is the pelvis located? Pelvic pain is pain that occurs in or around the pelvic area, which is located at the juncture of your spine and leg bones. Many people call this the pelvic bone, but it’s actually made of a few different connected bony sections as shown below. The exact nature of pelvic pain may be difficult to diagnose accurately, and thus to treat effectively. Pelvic pain may be acute or chronic, and experienced as mild, moderate, or severe. You may feel low-level or intensely sharp pain. You may feel it in any part of the pelvic region, depending on the actual tissue, organ, or disorder. Pelvic pain may spread into other nearby body parts, such as the lower back or abdomen. Pelvic pain is fairly prevalent. Up to 33% of women may experience some form of pelvic pain at any point in their lives. This may often be perceived or categorized as gynecological conditions, but this pain may also be associated with unrelated regions of the pelvis. Estimates suggest that approximately 4% of women experience chronic pelvic pain. This type of pain is thought to be linked to up to 40% of consultations at gynecological clinics and centers every year. As noted, there are many different origins of pain in the pelvis area. For example, pelvic pain may be associated with gynecological issues in women. It may also be a result of two or more comorbid (or concurrent and possibly interrelated) conditions that occur in the major multi-organ systems located in or near your pelvis. In some cases, pelvic pain may be related to other conditions such as fibromyalgia, inguinal hernia, or nerve damage. Chronic pelvic pain may be associated with dysfunction or weakness in the muscles that form the pelvic floor. Acute pelvic pain may be a sign of adverse events such as appendicitis, which may require immediate treatment. If you think you’re suffering from pelvic pain, you’ll want to start with a diagnosis. To do this, your doctor may run a series of different tests in order to determine one (or a small number of) underlying causes. When your pain started, and whether you can trace it back to recent events, such as an injury. 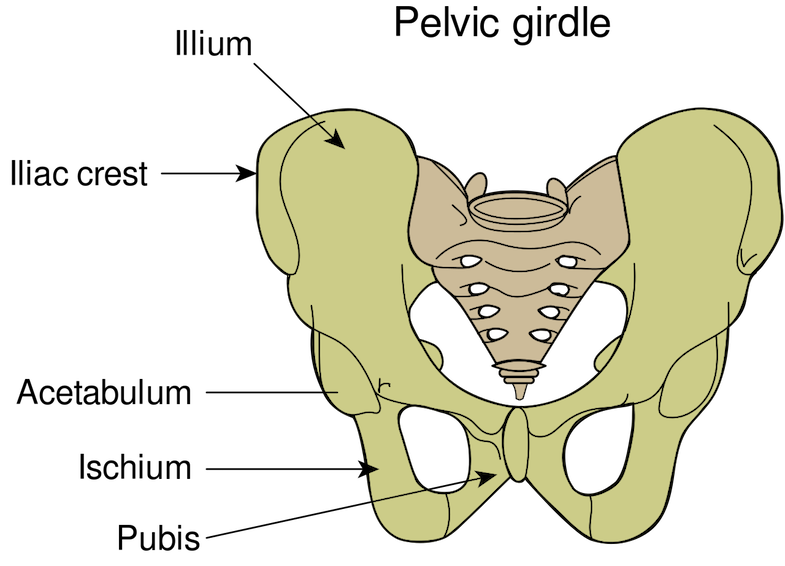 The location of your pain, such as in the front or posterior portions of the region. This may help your doctor forge a link between a specific organ or tissue type and the pain experienced. The frequency, severity, and duration of your pain, as regular recurrences of pain may indicate a disorder. Other factors that could be causing your pain. For example, pain that arises from lying or sitting in a particular position may indicate hip joint pain or bone damage. Beyond this, your doctor will examine you and may run a number of different laboratory tests, such as blood, tissue, or urine. Non-invasive imaging techniques such as computed tomography (CT) or ultrasound may also be effective for some conditions. Treatment for pelvic pain may depend on the type of pain you’re experiencing or the related underlying conditions. If you’re suffering, talk to your doctor about how to treat your pain. Mild to moderate pain may benefit from non-invasive treatments such as drug therapy, whereas more severe chronic pain may require clinic-based interventions. Drugs that may be effective in some cases of pelvic pain include non-steroidal anti-inflammatory drugs (NSAIDs). These are typically recommended for patients in the early stages of arthritis affecting the hip joints or those recovering from injury or other damage. Other drugs that may benefit mild to moderate pain may include antidepressants or anticonvulsants. An example of an anticonvulsant associated with pain relief is gabapentin. This may effectively address the symptoms of nerve damage. A nerve block is a minimally invasive procedure performed in the clinic to relieve moderate to severe pelvic pain. This is done to inhibit chronic pain signals from major nerves or nerve clusters associated with this region of the body. This includes the celiac plexus. A celiac plexus nerve block involves using imaging techniques, so that a needle containing local anesthetic medications can be inserted into the vicinity of the celiac plexus. When administered, these drugs can block the nerve’s ability to send signals about painful conditions to the brain. Research indicates the efficacy and long-term results of another procedure called spinal cord stimulation. In this case, spinal nerves responsible for overactive signaling in cases of pelvic pain are identified. A small electrode-like device is implanted in an appropriate location near this nervous tissue. The device then emits impulses, similar to those used by nerves to conduct information to the brain, which override pain signals and promote signaling more similar to non-pain impulses. This treatment method may deliver long-term relief from chronic pain. If you’re suffering from pelvic pain, there is help. There is a wide range of factors or disorders that can lead to pelvic pain that differ widely from individual to individual. Some of the more common pelvic pain causes include inflammatory bowel disease, many forms of cancer, direct injury or damage, or reproductive conditions. Treatments for pelvic pain can vary widely depending on the underlying reason for your pain. By working with a pain doctor, you can get a diagnosis for your pain and learn about treatments that could help. You can find a pain doctor in your area by clicking the button below or looking for one in your area by using the tips here: https://paindoctor.com/pain-management-doctors/. Fritz J, Chhabra A, Wang KC, Carrino JA. Magnetic resonance neurography-guided nerve blocks for the diagnosis and treatment of chronic pelvic pain syndrome. Neuroimaging Clin N Am. 2014; 24(1):211-34. Ismail M, Mackenzie K, Hashim H. Contemporary treatment options for chronic prostatitis/chronic pelvic pain syndrome. Drugs Today. 2013;49(7):457-62. Ortiz DD. Chronic pelvic pain in women. Am Fam Physician. 2008;77(11):1535-1542. Pontari M, Giusto L. New developments in the diagnosis and treatment of chronic prostatitis/chronic pelvic pain syndrome. Curr Opin Urol. 2013;23(6):565-9. Rhodin A. Successful management of chronic pelvic pain. J Pain Palliat Care Pharmacother. 2013;27(3):289-91.